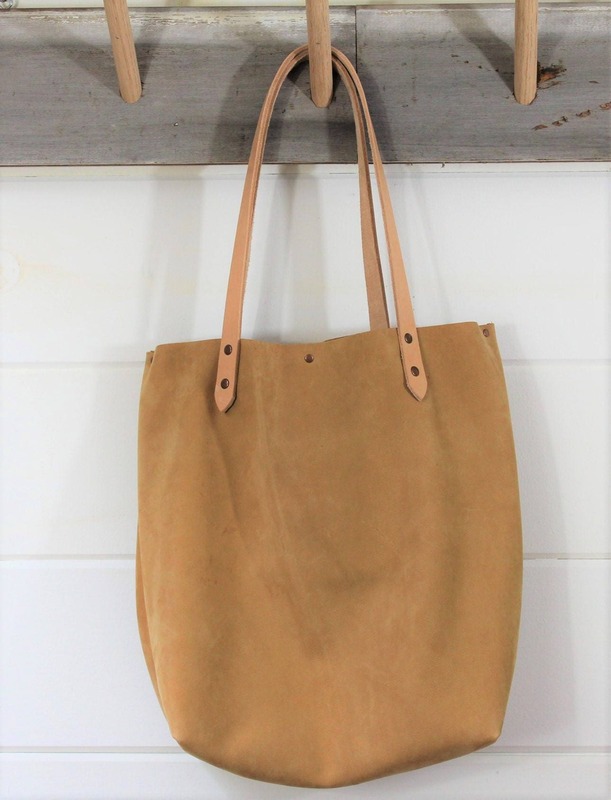 The leather used to make this bag is a beautiful tan leather with a great sueded hand. 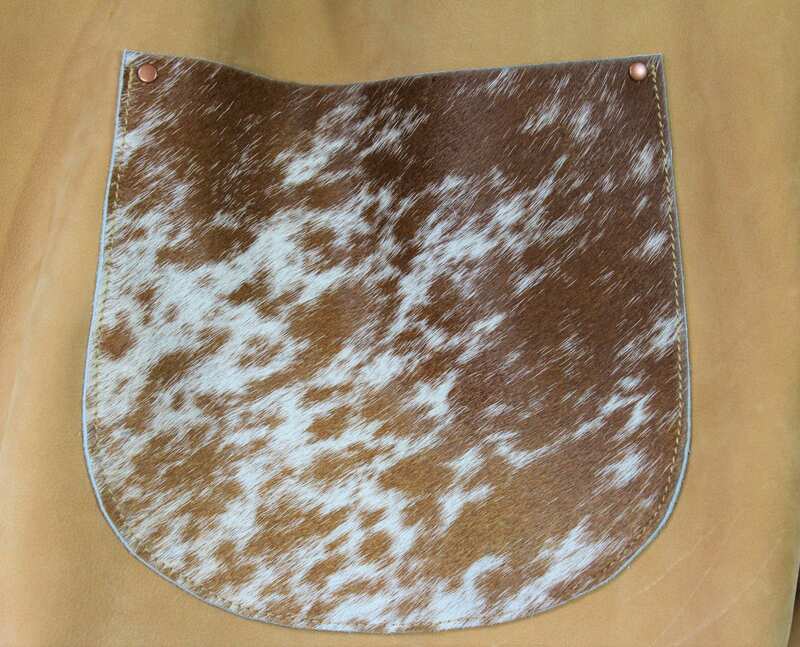 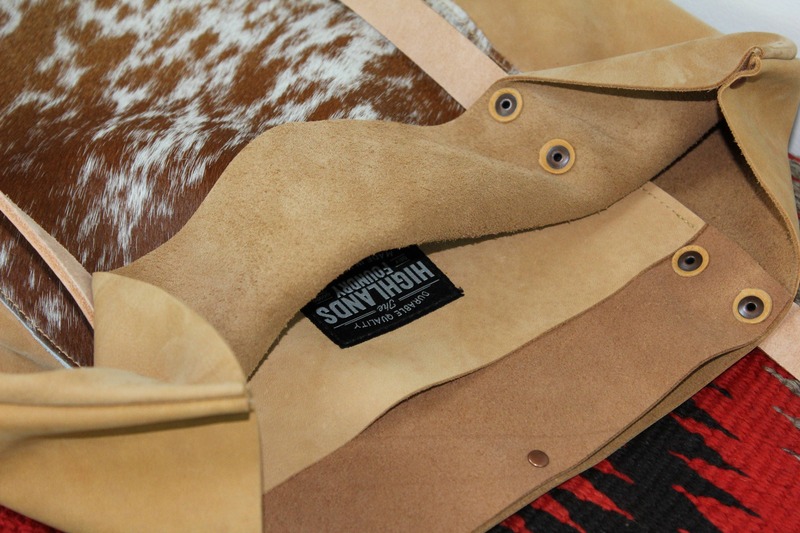 The front pocket is a hair on cowhide. 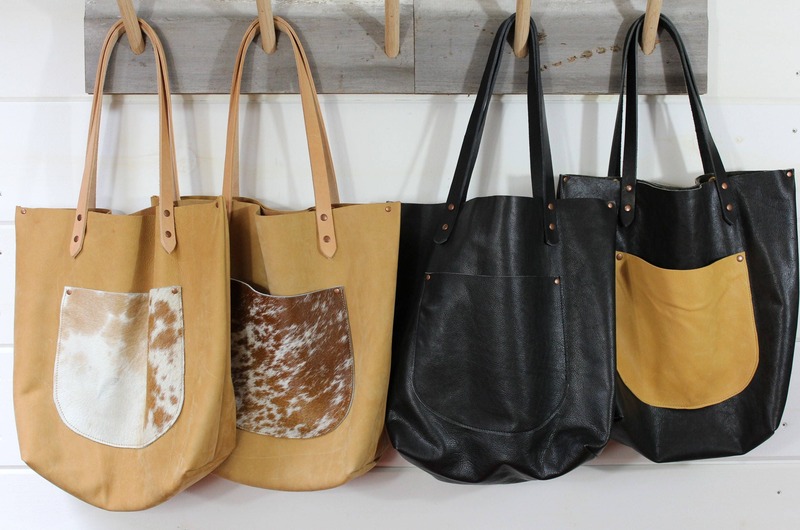 Each pocket varies in pattern as each bag is one of a kind. 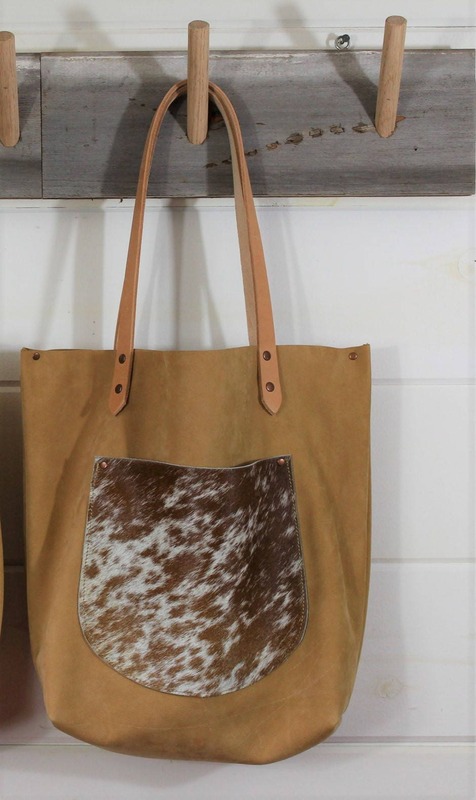 The bag has an interior leather pocket that is secured with antique copper rivets and deerskin mounts. 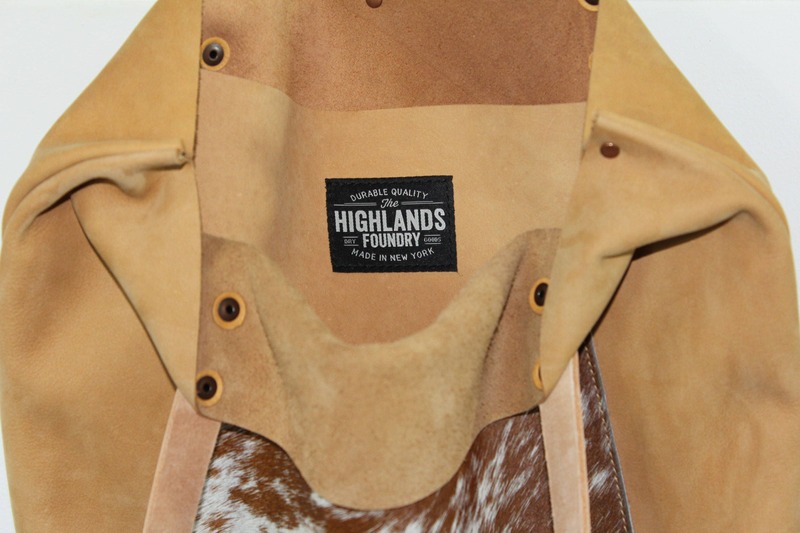 Leather color and patterns on hids hides might be slightly different from bag to bag. 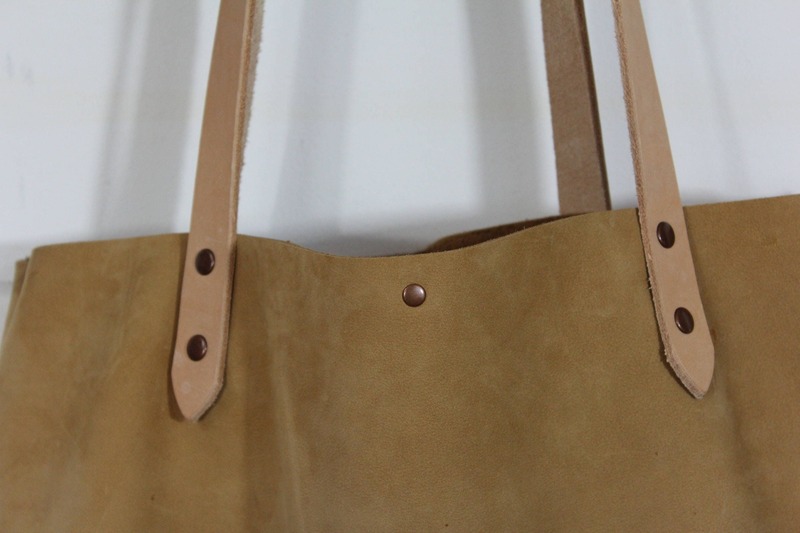 The leather straps are made from Vegetable tanned heavy leather and secured with antique copper rivets.